FAN FILM FACTOR is now the master of its DOMAIN! Some of you may know the not-so-secret origin of FAN FILM FACTOR. Back in 2015, I was writing a regular weekly blog for the Axanar website called “Fan Film Friday,” and it was becoming quite popular. Shortly after the infringement lawsuit was filed, however, a couple of my interviewees requested not to appear on the Axanar website. Other fan filmmakers were fine with being featured on the Axanar site, but I lamented the fact that I would no longer be free to feature all the fan producers that I wanted to. I didn’t know Mike that well yet. He’d come on a few months previous to help out Alec and Axanar with PR, as Mike owns his own public relations company and wanted to help out on Axanar (as many of us fan volunteers did). Mike has set up blogging sites for others, and he even had a hosting domain available for me to piggyback on: trekbloggers.com. Mike is an awesomely nice guy and one of my favorite people on the planet. He never charged me a penny, and he fairly quickly got me set up with my own dashboard, gave me a short tutoring session (well, quite a FEW tutoring sessions! ), and I was off to the races by the end of January. By the summer, I was getting a few hundred page views a day on average. And when I talked about the Axanar lawsuit–holy shat!–my stats would skyrocket! Sounded good! Now, I realized that, at best, I’ll make enough off of site ads to maybe buy my son Jayden a happy meal once every few months. But at least it’ll be something, right? The only problem was, as the weeks went by with no ads, Mike and I discovered that the process wasn’t nearly as simple as we thought. It turns out that Google will not set up an ad account on a sub-domain…and FAN FILM FACTOR was sitting as a sub-domain: fff.trekbloggers.com. You may have noticed the URLs of my blog entries all had that domain. Although I’d purchased fanfilmfactor.com as my own domain last January, it simply redirected to Mike’s domain and server host. Last month, we decided to migrate my entire blog site, all the pages, links, articles, interviews, graphics, and videos, from Mike’s server over to mine (which I wasn’t really using for much anyway). That transition happened yesterday, and the site was down for part of the day. But it’s back up again and now FAN FILM FACTOR will spend the foreseeable future actually on fanfilmfactor.com. I sincerely thank Mike Bawden for all of his help making this blog site possible. I don’t usually post a P.S., but yesterday the CBS/Paramount legal team opened up on Alec Peters and his defense team with a barrage of full photon torpedoes in a 122-page ex parte filing with the court. Last Friday when the judge’s initial ruling on the motion to compel discovery came down, it took me a few days to fully research, parse, and analyze the ramifications of the events. I’m going to need to do that again. I’m already working on a blog about yesterday’s filing, and with luck, it’ll be finished and posted by tomorrow (Saturday) morning. Fingers crossed! Thanks for your patience and understanding. Gotta drive Jayden to karate class now. 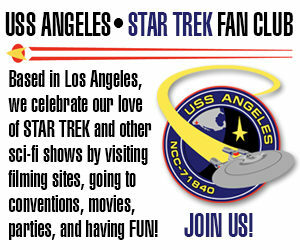 As one last favor, do you think Mike would be willing to redirect fff.trekbloggers.com to this new domain? As of now, it redirects to “localhost”, which isn’t gonna work, and people think your site is offline. I’ll mention that to him. Thanks for the heads up. Previous Previous post: The fan series formerly known as STARSHIP TRISTAN releases its fifth episode! Next Next post: CBS/PARAMOUNT legal team blasts ALEC PETERS with full phasers in AXANAR LAWSUIT!